Adaptor 3-pin Power cord. HP 510 Notebook PC, HP 530 Notebook PC. HP Pavilion: dv4, dv5, dv6 dv7, G3000, G5000, G6000, and G7000;. HP Compaq 2230s Notebook PC, HP Compaq 2510p Notebook PC. Short Circuit Protection. HP Pavilion: dv4, dv5, dv6 dv7, G3000, G5000, G6000, and G7000;. Adaptor 3-pin Power cord. HP 510 Notebook PC, HP 530 Notebook PC. HP Compaq 2230s Notebook PC, HP Compaq 2510p Notebook PC. HP Compaq 2710p Notebook PC, HP Compaq 6510b Notebook PC. Power: 65W. POWER CORD is included where applicable. DC Output: 18.5V 3.5A. AC Input: 100~240V / 50-60HZ. Plug Type: 3pin (UK). 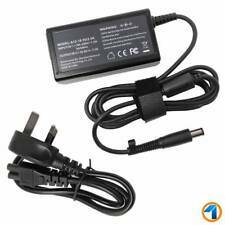 Lite-an® High Quality 6 5W Laptop Power Adapter For HP Pavilion G6 Series. Power: 65 Watt. DC Pin Size: 7.4mm x 5.0mm With Centre Pin. 1 X Power Adapter. 1 X Power cord. Output Current: 3.5A. AB30-35-41-42-52-54, AB36-38-55-56, FK17-21, HS1-8, IV-, KW0-14, PH15-32-34-48, G83, GY9, HS9, KA28-20-99-33-49-99, Isle Of Man, KA27, Orkney, KW15-99, ZE-, TR21-25. Power: 65W. AC Input: 100~240V / 50-60HZ. Warranty: 1 Year. Product Details. DC Output: 18.5V 3.5A. HP Pavilion dv5-2008ca Pavilion dv5-2028ca Pavilion dv5-2032la Pavilion dv5-2034la Pavilion dv5-2035dx Pavilion dv5-2035la Pavilion dv5-2037la Pavilion dv5-2038la Pavilion dv5-2040ca Pavilion dv5-2043la Pavilion dv5-2045dx Pavilion dv5-2045la Pavilion dv5-2046la Pavilion dv5-2047ca Pavilion dv5-2048la Pavilion dv5-2050ca Pavilion dv5-2051xx Pavilion dv5-2070us Pavilion dv5-2072nr Pavilion dv5-2073nr Pavilion Dv5-2074dx Pavilion dv5-2077cl HP Pavilion DV5t-2000 Series. Male Connector Size: 4.5x3.0mm. 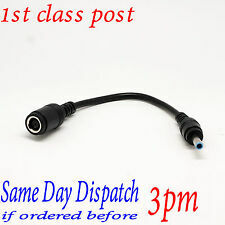 Female connector size 7.4x5.0mm. Laptop Parts. United Kingdom. Volts 19.5V. Condition New. Technical Information. Output:18.5V 3.5A(Power 65W). 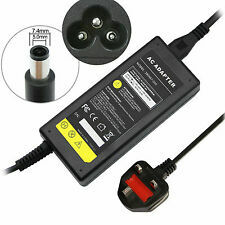 How to judge the ac adapter whether it can be compatible for your laptop?. AC Power Adapter x1. Power Cord x 1(UK,EU,AU,US standard is available,choose "1" fit your country ). 74A 90W 7.4 x 5.0mm. Output: 19V 4.74 to 90W. HP Pavilion G6 - 2100 Series. HP Pavilion G6-2103ss. HP Pavilion G6-2104ss. HP Pavilion G6-2105ss. HP Pavilion G6-2135es. HP Pavilion G6-2145ss. 74A 90W 7.4 x 5.0mm. Output: 19V 4.74 to 90W. HP Pavilion G6 - 2000 Series. HP Pavilion G6-2000SS. HP Pavilion G6-2002SS. HP Pavilion G6-2004SS. HP Pavilion G6-2006ES. HP Pavilion G6-2007SS. 74A 90W 7.4 x 5.0mm. HP Pavilion G7 - 1100 Series. Output: 19V 4.74 to 90W. HP Pavilion G7-1107es. HP Pavilion G7-1120ss. HP Pavilion G7-1135ss. Amperaggio (Output): 4.74A;. Un adeguato spessore della scocca protegge le celle da urti o cadute accidentali. Ai sensi dell'art. 5 D. Lgs. sp per Molfetta, NC - 70032 Bitonto (BA). (per una ricerca più rapida, premi CTRL F. ). With your cooperation, we can avoid communication problems. Hp Compaq Cq70 Series. Hp Compaq Cq20 Series. Hp Compaq Cq70-203tx. Hp Compaq Cq70-203ef. Hp Compaq Cq70-202tx. Hp Compaq Cq70-201tx. Hp Compaq Cq70-201tu. HP Compaq Pavilion DV6, DV5, DV3, G6, G60. Output Power (Max): 65W. HP Compaq Presario CQ61, CQ60, CQ40, CQ45, CQ50. HP Compaq 6910p, NC6400. HP Compaq ProBook 4510s. Safety: Overload & Short Circuit Protection, High Temperature Cut-Off. Watts: 90W. UNIT 3 CHANCERY GATE INDUSTRIAL ESTATE. UNITED KINGDOM. Output : 19V 4.74A. With your cooperation, we can avoid communication problems. Mains/ Power Cable : Not Included. Simple & easy. Warranty : 12 months. Product Condition. All our adapters have a 1-year warranty against defects. Pin size: 7.4 x 5.0 mm, compatible HP type Smart Pin. Full UK Safety and CE Certified. Supplied with Power cable. We are here to help. We do our best to process as quickly as possible. Item model number: G6 Series 65W. We take our reputation seriously. Make sure this fits. by entering your model number. Item model number G6 Series 65W. We go above and beyond to ensure you receive the best level of service. Make sure this fits by entering your model number. HP Pavilion G6 Series Laptop Charger Adapter (18.5v 3.5a 65W SMART Black-Ti... . Features: Input voltage: 100-240V ~ 1.5A, 50 - 60Hz Output voltage: 18.5V ~ 3.5A 65W DC connector size: 7.4*5.0mm Includes power cable Package Included: 1x AC adapter 1x Free power cable. 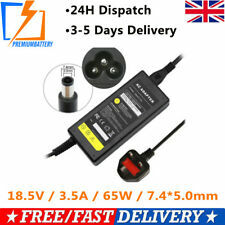 1 X AC Adapter 1 X Free UK Fuse Power cord. Output DC connector:3pcs, detachable. Your reliance and supporting are our great honors. We have the best aftersales service. There are no exceptions! Amperaggio (Output): 4.74A;. Un adeguato spessore della scocca protegge le celle da urti o cadute accidentali. Ai sensi dell'art. 5 D. Lgs. I prodotti in vendita sono 100% originali e ufficiali. sp per Molfetta, NC - 70032 Bitonto (BA). 74A 90W 7.4 x 5.0mm. HP Pavilion G7 - 1100 Series. Output: 19V 4.74 to 90W. HP Pavilion G7-1107es. HP Pavilion G7-1120ss. HP Pavilion G7-1135ss. Original HP.